Len Wein! His contributions to comics are too vast to fully comprehend. Wein played a disproportionately huge role in pivoting comics into the modern era. 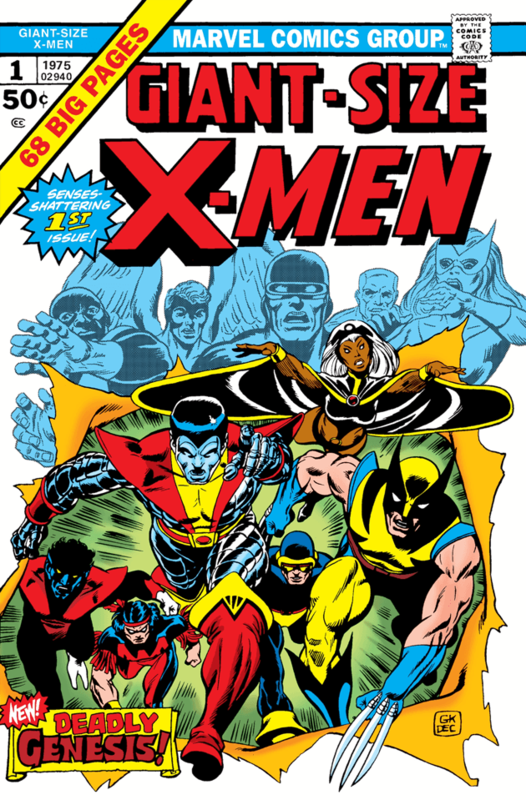 There’s definitely an argument to be made for Giant Size X-Men #1 being the most important comic book of all time. It certainly marked the beginning of my emotional investment in comic universes. “Second Genesis” was a cultural Big Bang, from which all the hype of the ’80s and ’90s sprung forth. It took comics from “then” to “now” in a big, big way. For me, that single issue (discovered via reprints, mind you) served as both a portal to the future and a gateway to the past. Like some kind of newsprint Mother Box, it contained universes of possibilities. Aside from that ONE SINGLE ISSUE (and his role in the creation of Wolverine, Storm, Colossus, and Nightcrawler) Wein also co-created Swamp Thing, The Human Target, and Lucius Fox of the Batman universe (famously played by Morgan Freeman). He also edited Camelot 3000 and Watchmen. And that’s just scratching the surface. A legend! !